The new season starts on 15th November and the first Press Release is in so it's time to roll out our brand new Round-up thread that we have planned for this season. Each episode will have a separate header which will contain all the official information for it - press releases, photos, promos, sneak peeks etc. This way all the information can be seen in one place so you can bookmark this page and you will not miss anything. If you come across anything that hasn't been added to the post yet then please feel free to use this Submit Scoop link and send it to us. If you would like to join in the discussions and speculation in the comments, scroll down to the very bottom of the page and click the subscribe button so that it turns green. Then you will be emailed whenever anyone posts new information and can follow a link directly to that comment and reply. We'd love to hear your thoughts, so please don't be shy! A year has passed and much has changed. With her father dead Ariadne is named Queen, and finds herself at war with her old adversary, Pasiphae. As the kingdom stands on the brink of collapse, the struggle for power is both bloody and brutal. With the future looking bleak, there is only one person Ariadne dare turn to for help: Jason. The time has come for the young warrior to fulfill his destiny - the battle for Atlantis has begun. With Jack Donelly, Mark Addy, Robert Emms, Ayisha Hart, Sarah Parish, Juliet Stevenson, Vincent Regan and Robert Pugh. Pasiphae lays siege to Atlantis and without the Palladium to protect it, the city looks set to fall. The last remaining hope rests with Jason, Hercules and Pythagoras but far from home they are fighting a desperate battle of their own. As the conflict reaches its thrilling climax, nothing could have prepared Hercules for what he discovers - it throws into doubt everything he once knew to be true and is set to change the course of the future forever. Ariadne (Aiysha Hart) is formally crowned Queen but with Pasiphae (Sarah Parish) still at large and the city struggling in the aftermath of battle, Atlantis remains vulnerable. So when an enigmatic stranger arrives offering salvation, he proves hard to resist. But his proposal is far from straightforward – will the cost be too much for Ariadne to bear? As Jason (Jack Donnelly) fights for glory on the tournament ground, Ariadne embarks on her own private battle. Hers is a contest of head over heart, but which will win out only she can decide. As plans progress for the royal wedding, Ariadne (Aiysha Hart) must undertake a journey to Telemon’s (Clive Standen) homeland of Aegina. With the kingdom still beset by Colcheans, Jason (Jack Donnelly) is not the only one who fears for the Queen’s safety. Determined to do what is best for her people, Ariadne continues regardless, but as the voyage progresses, it becomes clear that the royal retinue faces enemies at every turn. Has the young Queen’s luck finally run out? As the dust settles, the gang find themselves dispersed around the ancient necropolis. They soon realize they are not alone... the space is crawling with a magical army of the undead. The race is on to find Jason (Jack Donnelly) before he falls prey to the flesh eating monsters. Elsewhere in the cave system, as Jason battles for his life, he finds an unlikely ally in the mysterious Medea (Amy Manson). But can he really trust her? As Ariadne (Aiysha Hart) lies on her deathbed, Jason’s (Jack Donnelly) guilt is almost too much to bear. He resolves to do all he can to save her and embarks on a dangerous quest into the unknown. Emotions run high as Jason battles against the hand of fate. After a daring encounter with the ancient Grey Sisters, his mission sees him come full circle, bringing him face to face with Medea (Amy Manson) and Pasiphae (Sarah Parish) once more. Can he thwart their powerful magic to save his love, or do they have other plans? When news reaches Pasiphae (Sarah Parish) of Ariadne (Aiysha Hart) and Jason’s (Jack Donnelly) impending marriage, she is terrified that Atlantis will be lost to her forever, and resolves to do all she can to stop the union, no matter the cost. But Pasiphae’s pursuit of power has far-reaching and devastating consequences, and as the battle for Atlantis continues, it seems none is immune to her touch. 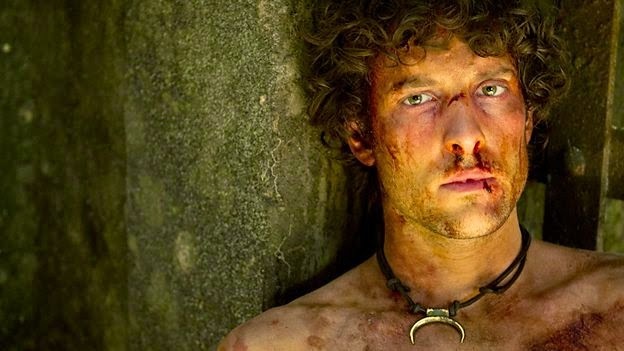 Jason (Jack Donnelly) has been sentenced to death for killing the Oracle. Faced with the irrepressible might of the High Priests it seems there is little anyone can do to save him - even Ariadne (Aiysha Hart). 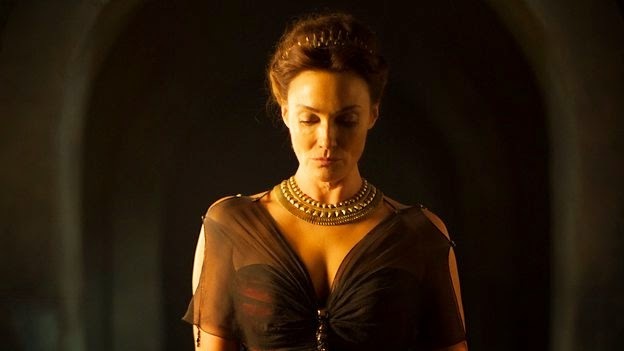 As Pasiphae (Sarah Parish) tightens her grip on Atlantis, the future looks bleak. 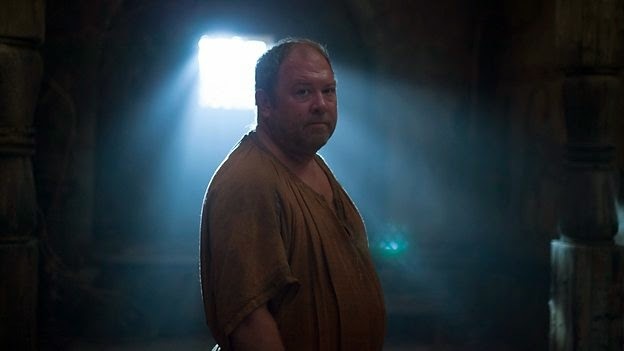 Hercules (Mark Addy) knows that there is only one way to save his friend: Medusa. But that would mean losing his love all over again. Is it a sacrifice he is willing to make? Pasiphae (Sarah Parish) has seized Atlantis and Ariadne’s (Aiysha Hart) life hangs in the balance - but our heroes are impotent to help. As wanted men, they have been forced to seek refuge in the mountains high above the city and are fighting for survival themselves. As nightmares become reality only one thing is certain - it will take a sacrifice of unimaginable proportions to set things straight. The Oracle’s prophecy has come true: the news that Pasiphae is his mother has blackened Jason’s heart and he bears little resemblance to the man we knew and loved. His attitude is reckless and foolhardy and he no longer seems to care about anyone or anything, even Ariadne. When our heroes discover that Jason has been caught by Pasiphae’s troops, they know they must do all they can to rescue him before he is lost forever. Aeson embarks on a brave and dangerous mission into Atlantis to save his son. But he is one man, and with traitors at every turn - can he succeed? Jason is determined to rescue his fellow prisoners from the amphitheater. But this means returning to Atlantis, the heart of Pasiphae’s power, and with traitors at every turn, this is more dangerous than ever. As events come to a head it becomes clear that while Pasiphae lives, there will never be peace. For Jason and his friends only one thing is certain - the Queen must die. 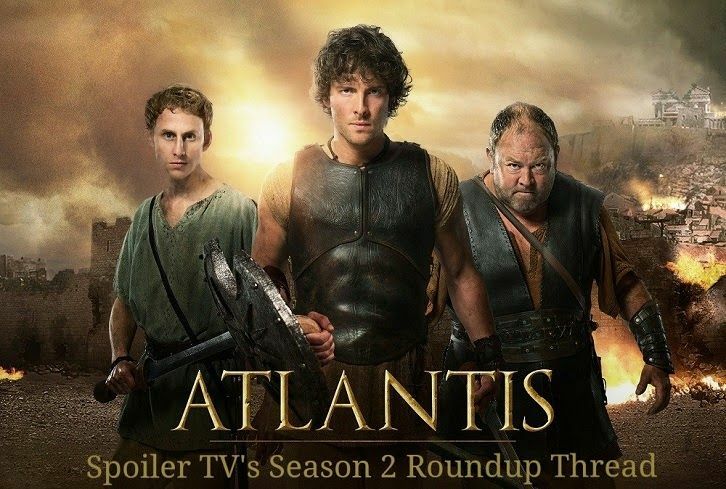 In this final episode, Jason and Ariadne prepare to return to power in Atlantis - but first they must decide who they can trust. Anxieties run high as our heroes form new alliances with old enemies, whilst questioning those they love. As they enter the city for the first time since Pasiphae’s death, only one thing is certain - that nothing will ever be the same again. Sandi is part of the Senior Staff at SpoilerTV having been a contributor from back in the Lost days of DarkUFO, and who now writes previews for Banshee, The Musketeers, Atlantis, and other BBC shows. She also enjoys watching and commenting on other shows such as Sons of Anarchy, Hannibal, Game of Thrones and Elementary.